What does 'reserve is met' or 'reserve is not met' mean? The reserve price is the minimum price that the seller is willing to accept for the property. 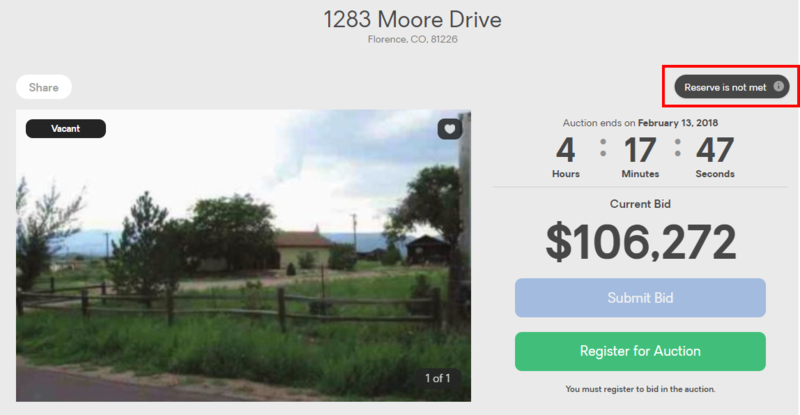 If the reserve price is met, the highest bid is submitted to the seller for approval depending on seller guidelines. 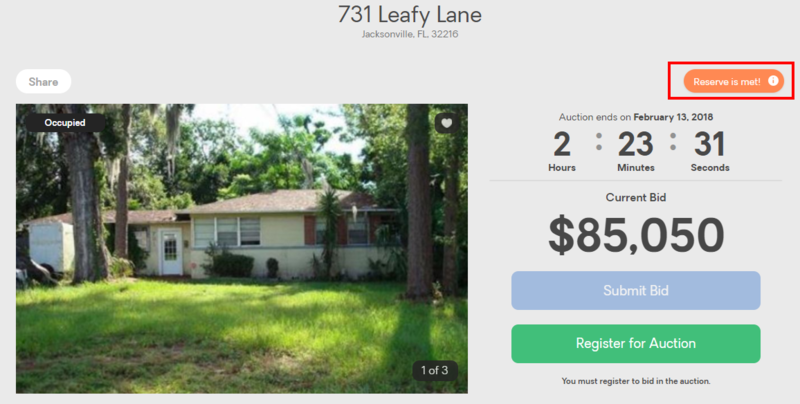 If the auction ends without any bids that meet the reserve price, the seller is not required to sell the property to the highest bidder; however, the bid may still be sent to seller for consideration.